It is price side, too, but precision comes out considerably. It was according to the schedule to the bracket dimensions prepared here. This review is about item#460704. If you follow the mounting hole dimensions firmly, Installation, removal was easy and was easy to use. This review is about item#460485. I dare to use bushes instead of bearings. It is sufficient to use low rotation and low torque. The accuracy of the bush itself is also good and it's pleasant with sulsur. This review is about item#460302. The drill was drilled with a drill 0.1 mm smaller than the outer diameter of the oilless bush, and finished with the desired diameter with a reamer. Very good bearings were easily made with space saving. This review is about item#00460476. It is inexpensive and easy to use. I would like the length of the cylindrical part excluding the flange part to be about 3 mm longer. This review is about item#460381. I saw using the sliding part because it rubs, but at a small expense I am satisfied that I move smoothly. The size of the hole of the bush, It was just right for the shaft of 3 mm, The part of the brim is large, I want you to improve that neighborhood. However, if you can scrape the brim portion with sandpaper, I am satisfied, because I somehow put in it. This review is about item#460275. It is low speed light load but because it is not a place where refueling is possible, I chose OILES. It is easy to handle and it was correct for this application. This review is about item#461124. It is used for the paper core bar receiver of toilet paper · cassette. Along with the use, the bush of the core rod catcher was damaged, so I stayed in the eyes and purchased it when I was looking for an alternative item. Rotation of the core rod is smooth and it is using well. This review is about item#460451. The outer diameter and the inner diameter are just fit and the rotation of the core rod of the paper became smooth. This review is about item#00460451. I purchased 150 items this time. Each one is carefully packed vinyl, but since I think that it is a product that is often purchased in large quantities at one time, we also ask for sales with 10 packs, 50 packs, 100 packs. I think that there is merit for the customer side for labor to pack, labor for opening packing, and for your company. It is convenient that the resin bearings of OILES Industries will quickly reach at this price! I also want to purchase! This review is about item#460311. Ordering similar products and sometimes they are packed separately but it is very helpful for them but when they are packed together it is very much like working to check the dimensions and open it from the pouch. If you do not grasp various part number stickers by model number, it is impossible, so I want you to manage somehow. This review is about item#00460512. Although it is cheaper than the genuine product, it can be used without problems and it is satisfied to the extent that it is suitable for the price. This review is about item#460905. It is a good thing carefully packed in a plastic bag one by one carefully, but since there are many cases to exchange as many as you do at the same time, it is saved when there are also many sets of quantities such as 10 pieces entered. It is polite and polite to carefully pack one by one, but if you need more than one at the same time it is quite a hassle to take out from vinyl. I think that if you have 10 packs etc, you and your company will be able to help each other ... Please consider selling in multiple packs as well. I use it instead of the metal flange bush which stops the cowl. This review is about item#460521. It's quite slippery and can be used. Because there is a reasonable load to rotate with the motor, I bought it while hesitating thought that it was impossible unless it was a bearing, I will sell one piece and I wonder if I can fail on this unit price. And thought purchase. I feel better than I thought, I do not seem to be wearing so much, and it is of sufficient use. However, the size is subtle, If the inner diameter is 10 mm and the outer diameter is 12 mm, if the collar system is 15 mm It was perfect, in my case. If the collar system is 18 mm, it is slightly larger, so I am thinking how to process it will work. This review is about item#460634. This review is about item#00460257. It was hard to get used to parts of this hand, but it is a very good slide. This review is about item#460512. 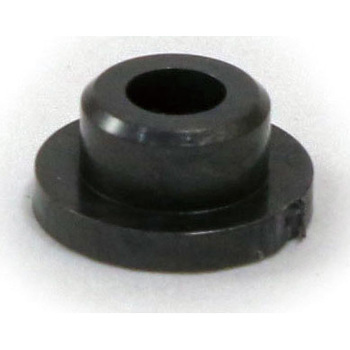 Resin Bearing, "Glitron F Flange Bush"